We’re pining for New York. As always. Especially now because it’s tree lighting time at Rockefeller Center. And, oh, that sparkling Swarovski crystal topper… We’re not old lady crazy (yet!) but we are crushing on those snowflake ornaments. The big tree lighting always heralds the start of the holiday season for us. We wish we were gazing at Macy’s department store window displays slideshow here, or watching the The Radio City Christmas Spectacular with the Parade of the Wooden Soldiers. 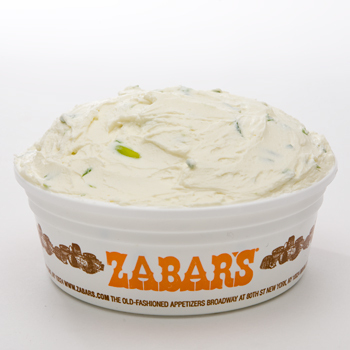 Most of all, we are wishing we were taking it all in with a nosh on a toasted bagel with Zabar’s whipped scallion cream cheese. An oft-cited Internet copycat recipe claims the airy schmear can be cloned by whipping 1 lb. 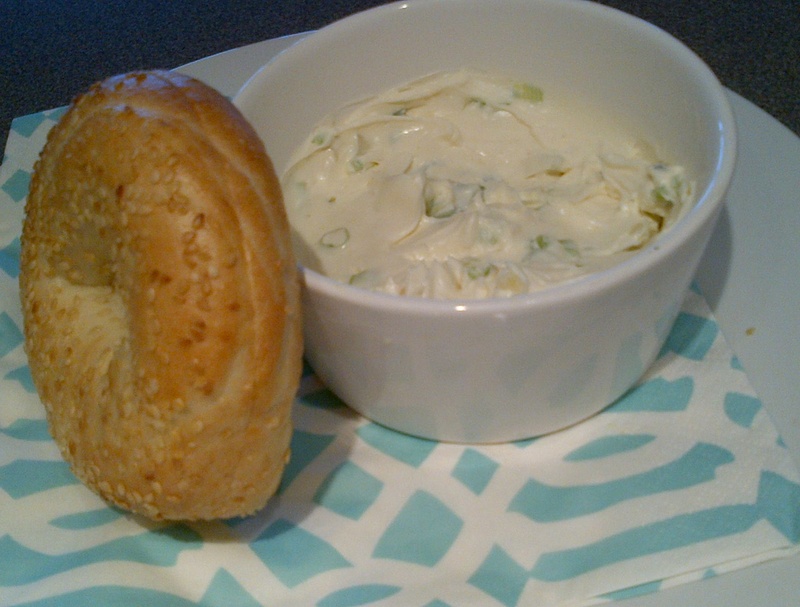 of cream cheese with 1/2 cup sour cream and a generous pinch of garlic salt. When mixed, stir in 1/2 cup chopped scallions. 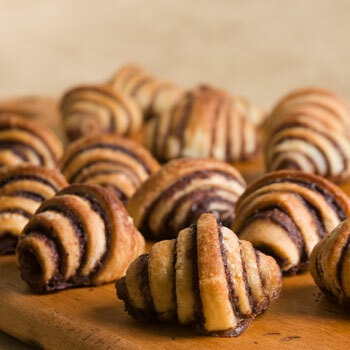 Naturally, we’d like to follow this treat with their famous cinnamon rugelach. Zabar’s doesn’t share their recipe, but Ina Garten was mentored by Eli Zabar, so this will do. Dorie Greenspan says to take butter and cream cheese out of the fridge just 10 minutes before you use it and also to let the dough rest overnight. Recipe from Ina Garten Barefoot Contessa Parties! Cream the cheese and butter in the bowl of an electric mixer fitted with the paddle attachment until light. Add 1/4 cup granulated sugar, the salt, and vanilla. With the mixer on low speed, add the flour and mix until just combined. Dump the dough out onto a well-floured board and roll it into a ball. Cut the ball in quarters, wrap each piece in plastic, and refrigerate for 1 hour. On a well-floured board, roll each ball of dough into a 9-inch circle. Spread the dough with 2 tablespoons apricot preserves and sprinkle with 1/2 cup of the filling. Press the filling lightly into the dough. Cut the circle into 12 equal wedges—cutting the whole circle in quarters, then each quarter into thirds. Starting with the wide edge, roll up each wedge. Place the cookies, points tucked under, on a baking sheet lined with parchment paper. Chill for 30 minutes. Baked Ziti: a new Saucy Cherie house special?" 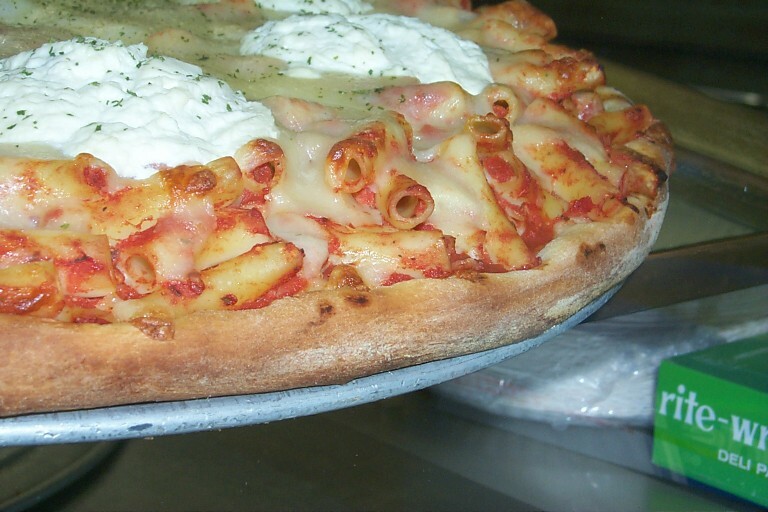 Our obsesssion with baked ziti stems from every gangster movie we’ve ever watched, and seeing slices of crispy NYC pizza topped with the stuff. So when Mother Nature lost her effing mind this week, plunging us into a deep-freeze, we knew it was ziti time. 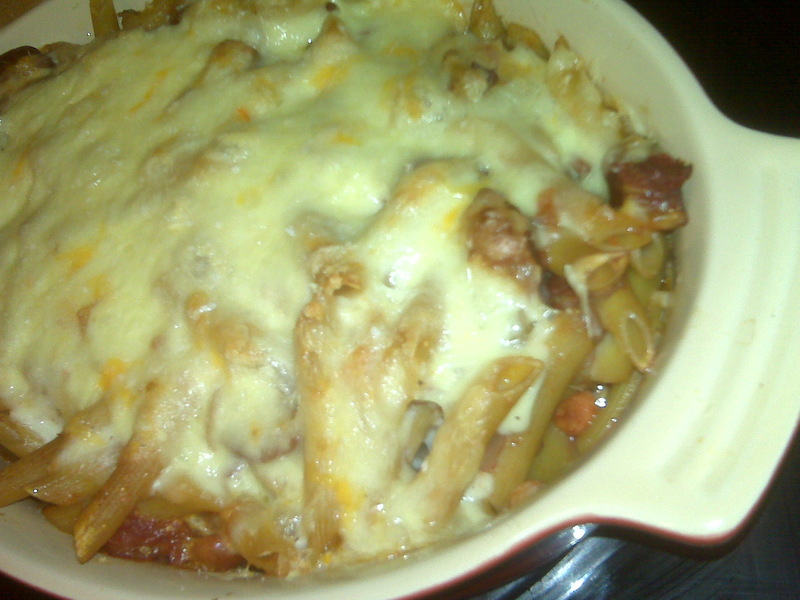 Only we couldn’t decide which of our two hoarded baked ziti recipes to try. So we combined them AND IT WAS FREAKING FANTASTIC. A bit of a Bittman/Rachael Ray mashup — Bittman’s simple tomato sauce and sausage with Ray’s rich bechamel nestled on top. It was the perfect mix of red and white sauce. We love how simple this is. No ricotta or eggs necessary. The secrets here are easy: undercook the pasta, and use cubes or curds of cheese in the middle so you get surprise pockets of molten cheese. Bring large pot of water to boil; salt it. Heat oven to 400 degrees. Distribute meat in large skillet over medium high heat and cook, undisturbed, until browned on one side, about 5 minutes. Stir, cook another 2 minutes undisturbed, then add the onion and garlic, if using. Lower heat to medium and continue to cook, stirring occasionally, until vegetables are soft; add tomatoes and bring to a boil. Simmer while cooking pasta, stirring and seasoning with salt and pepper to taste; do not let sauce become too thick. Once you have the red sauce working, make the white sauce: Place a medium-size saucepot over medium heat and melt the butter. Add the flour, stir to combine and cook for about a minute. Whisk in the milk, add the bay leaf and season with some salt, pepper and a couple of grates of nutmeg. Bring up to a bubble, turn the heat down to low and gently simmer, stirring frequently, for 5 minutes. Remove the bay leaf and discard. Cook pasta until just tender; it should still be too hard to eat. Drain it (do not shake the colander; allow some water to cling to the noodles) and toss it with the sauce and half the mozzarella. Grease a 9-by-13-inch baking dish and spoon mixture into it. Top with the white sauce. Sprinkle the mozzarella and grated Parmigiano over the top, transfer to the oven and bake for 25-30 minutes, until top is browned and cheese bubbly, 20 to 30 minutes. If you’re looking for Grey Cup party recipes, you’ve come to the right place. We blush with pride to claim a super yummy collection of football party classics. What are your football faves? Let us know. Football food is not fancy, it’s deliciously unpretentious. Chorizo takes seven-layer dip to new heights. Chicken wing dip is a crowd pleaser. And brownies with salted peanuts and pretzels are the way to go. Bake in the oven until bubbling or keep warm in a small slow cooker. Preheat oven to 350°F (180°C). Combine all ingredients and mix well. 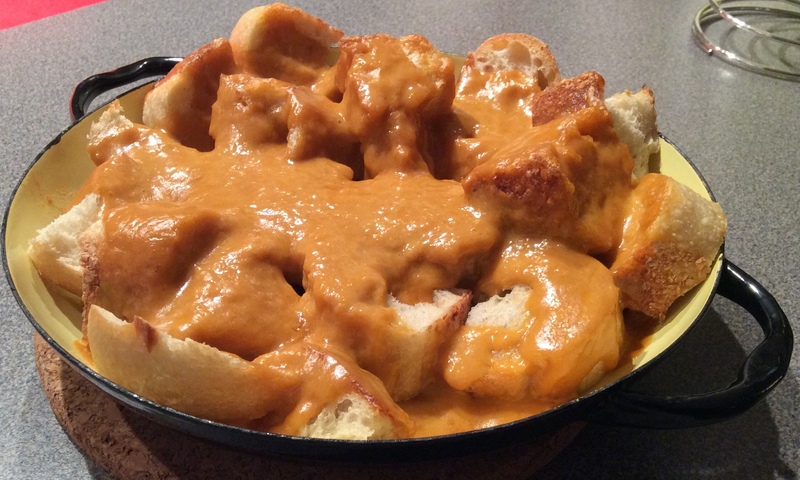 Spoon mixture into an oven proof casserole or small baking dish. Bake for 20 minutes or until bubbling in the centre. Serve with celery fans (To make them, fill a bowl halfway with very cold water. Cut the celery stalks into 2-inch pieces. Using a small knife, slice half of each piece into slivers and then put it into the bowl of water. After a few minutes, the cut ends will curl into fans. Drain on paper towels before serving), carrot sticks and chips or crackers. Heat the oven to 375 degrees. In an 8-inch cast-iron or ovenproof skillet, melt the butter over medium-high heat. Add the chicken and hot sauce and simmer until the sauce has thickened and reduced by half, 2 to 3 minutes. Turn off the heat, then stir in the lemon juice, sour cream and cream cheese until combined. Sprinkle the Cheddar cheese over the top. Bake until bubbling around the edges and the cheese has melted, about 10 minutes. If you’d like the top to get browned, run it under the broiler for a minute or two. A classic layered Tex-Mex dip with a twist: savory crumbled chorizo is nestled inside creamy layers of refried beans, sour cream, salsa, grated cheese, green onions, guacamole. A glass pie plate or baking dish lets the different layers show through, but any high-sided pan or platter will do. Squeeze chorizo out of its casing and fry in a large skillet on medium heat until cooked, breaking up any chunks as you go. To assemble: layer refried beans on the bottom of a pan or platter. Next, add sour cream, salsa, cooled chorizo, shredded cheese, guacamole and green onions. Using an electric mixer, combine sugar and oil thoroughly. Add eggs and beat until creamy. Add vanilla, salt and butter and mix thoroughly. Now, by hand, stir sifted cocoa and flour into mixture. Pour brownie batter into greased or parchment paper lined 8-inch by 8-inch (20-cm by 20-cm) cake pan. In a separate bowl, mix peanuts and pretzels with agave to bind. Spoon mixture evenly over brownie batter. Bake for 30 to 35 minutes, or until a wooden toothpick pressed into the centre comes out clean. Grey Cup is just around the corner and so is party time. For first-time entertainers, Grey Cup is the perfect party. It’s affordable, it’s casual and it has built-in entertainment. And of course, good Grey Cup parties have deliciously unpretentious snacks. This is no time for complicated, fancy food. It’s not a tasting party. Leave those fussy ramekins in the cupboard. Football party foul. No tapas, no gazpacho soup shooters. This is hand-to-mouth combat. Fans are going to be transfixed, watching the game unfold on TV and shovelling great gobs of food into gaping mouths without taking their eye off the blitz. Football is the focal point — no one’s going to notice your radish roses or carrot curls. The entire spread can be cooked the day before, allowing the host to stay out of the kitchen and take in the game. It’s an all-day party, so plan on people grazing for hours. And keep plenty of tasty nibbles within reach. When it comes to classic game day snacks, we think of chicken wings and guacamole. 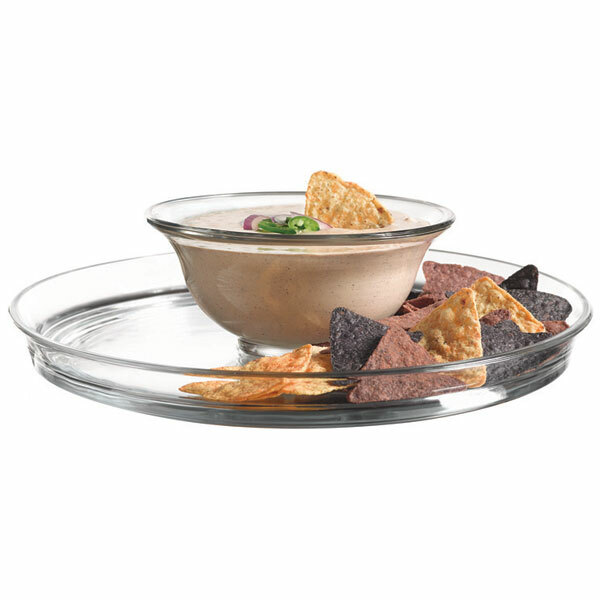 This year, we’re putting a twist on those two crowd favourites by turning them into dips. Buffalo-style chicken wings are easily deconstructed into a creamy dip — an Internet sensation that begs to be scooped up with celery and carrot sticks. To get our guac on, a classic seven-layer dip has a hidden layer of savoury chorizo sausage between luscious layers of guacamole, refried beans, sour cream, salsa, cheese and green onions. Paired with ice-cold beer, the dips have it. If you’ve a crowd to feed, the most valuable player for any football party is a bubbling pot of your famous chili. Or try offering a mouth-watering roast beef for a gourmet sandwich bar: guests can serve themselves. You can get away with either theme year after year by updating quality condiments. Lime sour cream for topping chili this year, orange chipotle the next. The same goes for a roast beef sandwich bar. Offer a few luxurious spreads such as garlicky horseradish aioli or cranberry onion jam. Add some pillowy rolls and a selection of fall pickles on the side. Place the buffet line a good distance away from the TV action. The key to any great Grey Cup party is to create two distinct television zones: one for serious game watchers, and another set closer to the food for Chatty Cathies. You know who you are. After halftime, some-thing’s got to give. Time to get the coffee on and roll out these Hail Mary Brownies: luscious chocolate squares with a sweet and salty pretzel and peanut topping. It will be a game day party to remember. 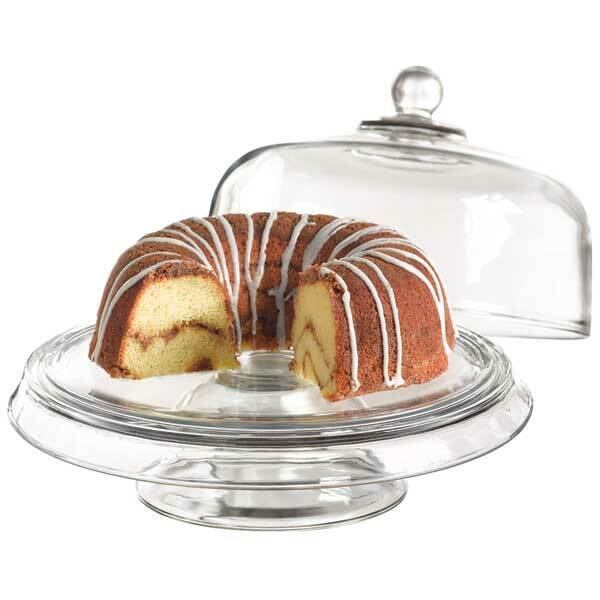 Lookie what we scored: a four-in-one cake dome, punch bowl, chip ‘n dipper, and a tiered platter. One of our lingering craves involves any kind of midnight cheese toasts. Whether it’s beer-based Welsh Rabbit, our treasured white wine, ham and gruyere Best of Bridge number, a mornay-drenched Hot Brown (Texas toast, roast turkey, tomato, parmesan sauce and bacon), or a croque monsieur variation, we love them for good reason. They can be assembled in advance and they cook quickly. They are our fantasy New Year’s midnight snack. Imagine having a prepared casserole dish of these babies for the end of a great rollicking night. Too late to be dinner, too early for breakfast. A midnight snack to soak up all those celebratory toasts. Ooh look. We made a funny. Our vintage yellow Caravelle Sizzling Server will be the perfect vessel for angular slices of baguette. Maybe it will look like this. Is it crazy to think we could fill our escargot pots with sausage-stuffed mushrooms, garlic shrimp or Texas toast croutons and broil Welsh rarebit on top? Possibilities, people. Put butter in a saucepan over medium heat and, as it melts, stir in flour. Continue to cook, stirring occasionally, until golden brown and very fragrant, 3 to 5 minutes. Stir in mustard and cayenne, then whisk in beer and Worcestershire sauce. When mixture is uniform, turn heat to low and stir in cheese, again stirring until smooth. Remove from heat and pour into a broad container to set (you can refrigerate for up to a day at this point). Spread mixture thickly on toast and put under broiler until bubbly and edges of toast are crisp. Serve immediately. A good late night snack. Combine all ingredients except for wine refrigerate until ready to bake. Pan fry both sides of bread in the butter to a golden brown. Place in a baking dish or pan. Cover first with pickles the tomatoes ham and finally cheese. Pour wine over the whole thing and bake or broil until the cheese melts evenly. Grind black pepper over the top to taste. The recipe for tender meatballs glistening under a coating of sweet grape jelly and chili sauce was sure to be delicious. And somehow, despite the hype, we were disappointed by the pedestrian (to us), warm ketchupy flavours. Jelly Balls will live on, but under the guise of a sweet and sour jellied cranberry sauce. Also, a cola and barbecue sauce mix might make a great game day treat. Yes, Grey Cup is two weeks away, and we’re always packing our arsenal of party recipes. What are your favourite Grey Cup goodies? Preheat oven to 400°F (200°C). Line rimmed baking sheet with foil and spray with cooking spray. Spread meatball on prepared baking sheet. Bake for 6 to 8 minutes. Turn meatballs and continue cooking 6 to 8 minutes or until cooked through. In saucepan, heat cranberry sauce, soya sauce and vinegar over medium heat, stirring occasionally, or until boiling and smooth. Set aside. In large bowl, combine meatballs and sauce. Transfer to slow cooker. Set it to low to hold warm for up to 1 hour. Serve with decorative toothpicks. In large saucepan, stir together cola and barbecue sauce. Add frozen meatballs. Bring to a boil. Reduce heat and simmer, uncovered, for 15 to 17 minutes, stirring occasionally. Mix ground beef with egg, bread crumbs, parsley, onion, Worcestershire sauce, salt and pepper. Roll into balls 1″ in diameter. Heat chili sauce, jelly, lemon juice, brown sugar and soy sauce in a large pot. Bring to a boil and add uncooked meatballs. Simmer meatballs in sauce for 30 minutes. Serve in a chafing dish. Makes about 50 balls. Freezes well. 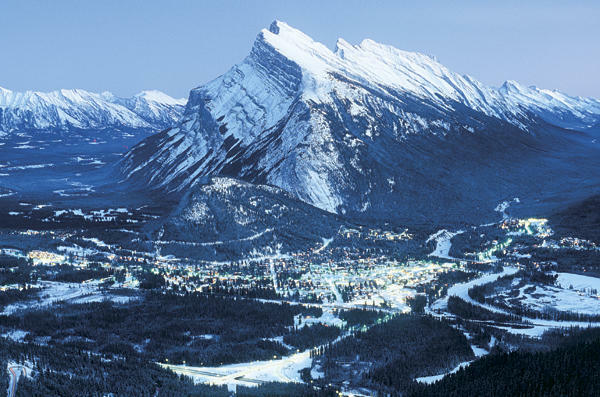 Just back from Banff Mountain Festival and days watching amazing films documenting extreme sports and hidden cultures from far away places. It’s a great tradition… watching films back-to-back at the wonderful Banff Centre. But each year, I forget how crummy the brown bag sandwiches are, and kick myself for not planning ahead. We would have killed for a healthy, hearty sammich with these famous cookies from Evelyn’s Coffee Bar, recipe at bottom. Evelyn’s super yummy Health Sandwich of avocado, hummus, mayo, tomato, cucumber and sprouts on healthy bread would likely never survive the trip from town! We were madly craving a ham, brie, tomato and Dijon on baguette. But also thinking of a pretzel bun with Gruyere and Swiss salami — a little old school mountain mouthful. Then we started thinking about chicken salad, and not just any chicken salad. What about a GORP/trail mix-infused recipe, with raisins, dried cranberries and nuts? With celery bits and mayo/apple cider vinegar, and honey to bind it together, it would be yummy. But we’ve been hoarding this for years, and we’re thinking a curry chicken salad would have done the trick. And it looks like it would feed a few friends! In a large saucepan over high heat, add peppercorns, bay leaves, cloves, lemon and 14 cups water; cover and bring to a boil. Add chicken and cook, uncovered and stirring occasionally, 7 to 10 minutes, or until cooked through; drain. Once cool, quarter each tender crosswise. In a large bowl, combine mustard, honey, curry powder, lemon pepper and salt; stir in chicken. Cover and refrigerate at least 30 minutes, or up to 1 day. Butter both sides of bread slices. In a heated nonstick skillet over medium-high flame, cook bread in batches 3 to 5 minutes or until browned, turning once. Combine carrots and almonds with chicken mixture. 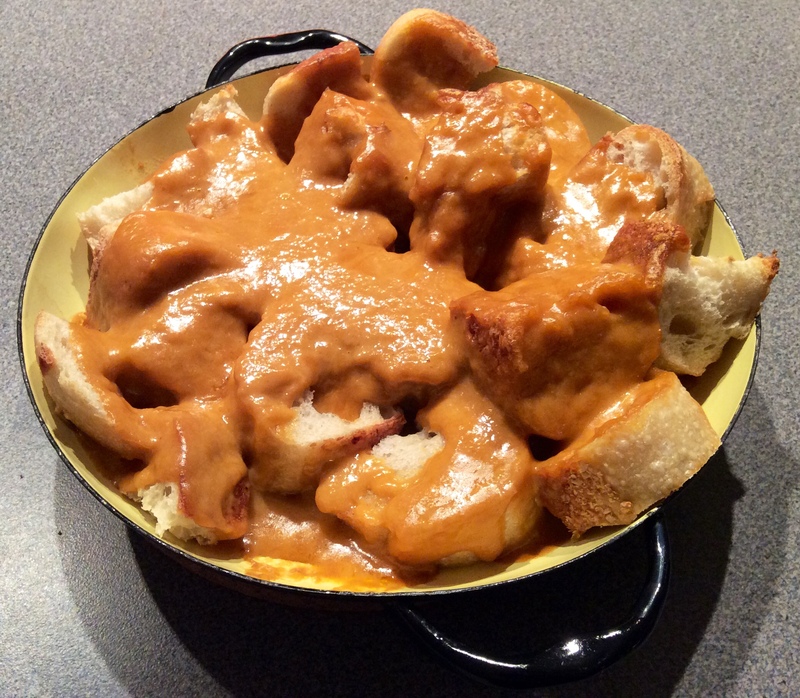 Divide chicken curry among 6 bread slices. Top with tomatoes, mesclun and remaining bread slices. Serve with fruit. These are Evelyn Zabloski’s cookies from her old Banff coffee shops. A classic mountain treat. In a medium bowl, combine flour, spices, baking powder. In a large bowl, cream together butter, brown sugar and granulated sugars. Beat in egg and vanilla Stir in flour mixture just until blended. Stir in rolled oats and cranberries. Shape mixture into 16 balls and flatten slightly on baking sheets lined with parchment paper. Bake in a preheated 350 oven for 12 to 15 minutes, or until cookies are slightly browned and hold their shape. Cook on racks.